Third in an occasional series on how Harvard researchers are tackling the problematic issues of aging. Science is working on it. Aging is as much about the physical processes of repair and regeneration — and their slow-motion failure — as it is the passage of time. And scientists studying stem cell and regenerative biology are making progress understanding those processes, developing treatments for the many diseases whose risks increase as we get older, while at times seeming to draw close to a broader anti-aging breakthrough. If stem cells offer potential solutions, they’re also part of the problem. Stem cells, which can differentiate into many cell types, are important parts of the body’s repair system, but lose regenerative potency as we age. In addition, their self-renewing ability allows the mutations that affect every cell to accumulate across cellular generations, and some of those mutations lead to disease. Human heart cells developed from human skin cells, beating in a dish. Courtesy of Richard T. Lee laboratory. When it comes to aging, certain tissue types seem to lead the charge, according to Professor of Stem Cell and Regenerative Biology Lee Rubin, who directs the Harvard Stem Cell Institute’s Therapeutic Screening Center. Particular tissues — nerve cells appear to be one — somehow signal to others that it’s time to age. This raises the prospect, Rubin said, that aging might be reversed by treating these key tissue categories, rather than designing individual treatments for the myriad tissue types that make up the body. 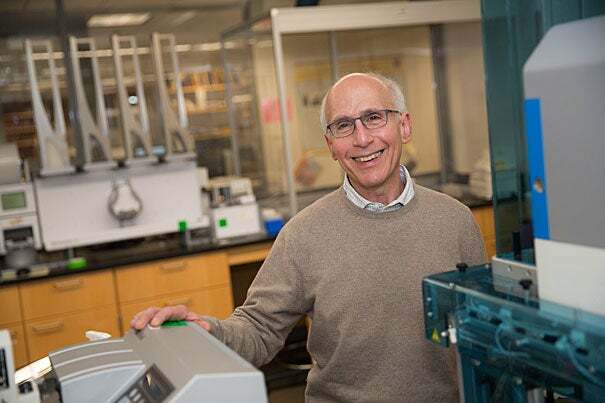 In addition to key tissues, certain chemical pathways — like insulin signaling —seem to be able to control aging, said Rubin, whose work has received backing from the National Institute of Neurological Disorders and Stroke, as well as private foundations. The insulin signaling pathway is a chemical chain reaction in which the hormone insulin helps the body metabolize glucose. Reducing it has been shown to greatly extend life span in flies and worms, Rubin said. Also, signaling doesn’t have to be reduced in all tissues. Because it circulates throughout the body, blood is an obvious place to look for controlling or signaling molecules that prompt or coordinate aging. A key carrier of oxygen and nutrients, blood is also rich with other compounds, some of which appear to play a role in decline linked to age. Scadden described recent work done separately by Ben Ebert, a professor of medicine working at Harvard-affiliated Brigham and Women’s Hospital, and Steve McCarroll, the Dorothy and Milton Flier Associate Professor of Biomedical Science and Genetics, that identified age-related changes in the blood that can increase the risk of diseases we don’t typically think of as blood diseases. Another tantalizing study, published in 2013, used the blood of a young mouse to rejuvenate the organs of an older one. In these “parabiotic” experiments, conducted by Professor of Stem Cell and Regenerative Biology Richard Lee and Forst Family Professor of Stem Cell and Regenerative Biology Amy Wagers, the circulatory systems of the two mice were joined, allowing the blood of the young to flow through the older one’s body. The older mouse showed improvements in muscle tone and heart function. Later, similar experiments done by Rubin also showed improvements in neuronal health and brain functioning. The young mouse’s fate depended on the age of the older mouse, Rubin said. If the latter was middle-aged, the young mouse appeared to be fine. If the older mouse was very old, however, the young mouse did worse. Rubin said the experiments suggest that blood contains both positive and negative factors that influence aging. It may be, he said, that both are always present, but that positive factors outweigh negative in the young and that negative factors increase as we age. Researchers have identified but not yet confirmed candidate blood factors for the rejuvenating effects. What seems not in doubt is the overall effect of the young blood on the old mouse. Interest is intense enough that a California company, Alkahest, has begun experiments giving Alzheimer’s patients plasma from young blood in hopes of improving cognition and brain function. Even if that approach works, Rubin said, there would be practical hurdles to the widespread administration of young people’s blood plasma to older patients. But with an active compound identified, a drug could be made available to restore at least some cognitive function in Alzheimer’s patients. In addition to the overall process of aging, researchers at the Harvard Stem Cell Institute, as well as across the University and its affiliated institutions, are investigating an array of diseases whose incidence increases — sometimes dramatically — with age. The list includes several of the country’s top causes of death — heart disease, stroke, diabetes, and cancer — as well as rarer conditions such as the lethal neurodegenerative disorder amyotrophic lateral sclerosis (ALS). Two decades ago, when stem cell research hit mainstream consciousness, many thought its greatest promise would be in stem cells’ ability to grow replacement parts: organs and tissues for damage caused by trauma or disease. The stem cell revolution is still developing, Scadden said, but so far has taken a different form than many expected. The dream of harnessing stem cells to grow replacement hearts, livers, and kidneys remains, but potentially powerful uses have emerged in modeling disease for drug discovery and in targeting treatment for personalized medicine. Researchers have taken from the sick easily accessible cells, such as skin or blood, and reprogrammed them into the affected tissue type — nerve cells in the case of ALS, which most commonly strikes between 55 and 75, according to the National Institutes of Health (NIH). These tissues are used as models to study the disease and test interventions. Work on ALS in the lab of Professor of Stem Cell and Regenerative Biology Kevin Eggan has identified a drug approved for epilepsy that might be effective against ALS. This application is now entering clinical trials, in collaboration with Harvard-affiliated Massachusetts General Hospital. In the end, stem cells might have their greatest impact as a drug-discovery tool, Scadden said. Also evolving is knowledge of stem cell biology. Our previous understanding was that once embryonic stem cells differentiated into stem cells for muscle, blood, skin, and other tissue, those stem cells remained flexible enough to further develop into an array of different cells within the tissue, whenever needed. 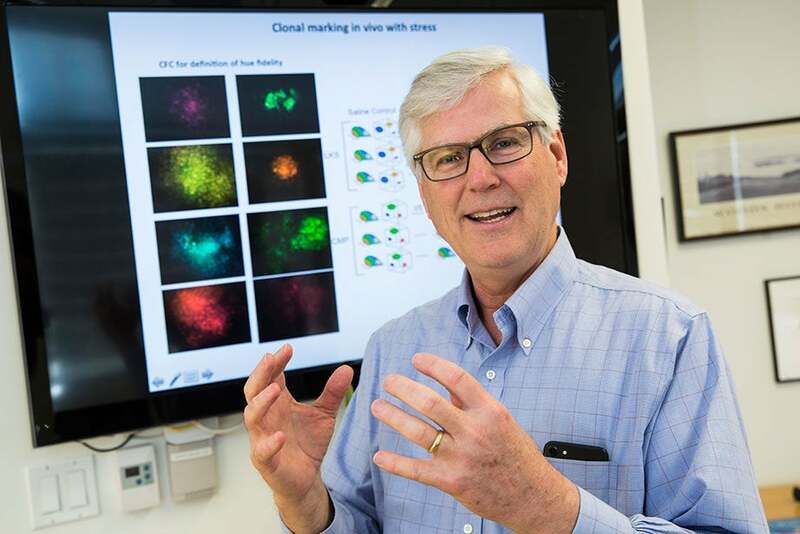 Recent work on blood stem cells, however, indicates that this plasticity within a particular tissue type may be more limited than previously thought, Scadden said. Instead of armies of similarly plastic stem cells, it appears there is diversity within populations, with different stem cells having different capabilities. If that’s the case, Scadden said, problems might arise in part from the loss of some of these stem cell subpopulations, a scenario that could explain individual variation in aging. Getting old may be something like the endgame in chess, he said, when players are down to just a few pieces that dictate their ability to defend and attack. Scadden’s lab is using fluorescent tags to mark stem cells in different laboratory animals and then following them to see which ones do what work. It might be possible to boost populations of particularly potent players — the queens — to fight disease. The “replacement parts” scenario for stem cells hasn’t gone away. One example is in the work of Harvard Stem Cell Institute co-director and Xander University Professor Douglas Melton, who has made significant progress growing replacement insulin-producing beta cells for treatment of diabetes. Another is in Lee’s research. With support from the NIH, Lee is working to make heart muscle cells that can be used to repair damaged hearts. Trials in this area have already begun, though with cells not genetically matched to the patient. In France, researchers are placing partially differentiated embryonic stem cells on the outside of the heart as a temporary aid to healing. Another trial, planned by researchers in Seattle, would inject fully differentiated heart muscle cells into a patient after a heart attack as a kind of very localized heart transplant. Lee’s approach will take longer to develop. He wants to exploit the potential of stem cell biology to grow cells that are genetically matched to the patient. Researchers would reprogram cells taken from the patient into heart cells and, as in the Seattle experiment, inject them into damaged parts of the heart. The advantage of Lee’s approach is that because the cells would be genetically identical to the patient, he or she could avoid antirejection drugs for life. Change has been a constant in Lee’s career, and he says there’s no reason to think that will slow. Patient populations are older and more complex, disease profiles are changing, and the tools physicians have at their disposal are more powerful and more targeted. When Lee envisions the full potential of stem cell science, he sees treatments and replacement organs with the power to transform how we develop and grow old. Lee’s not guessing at future longevity. He’s not even sure extending life span beyond the current record, 122, is possible. 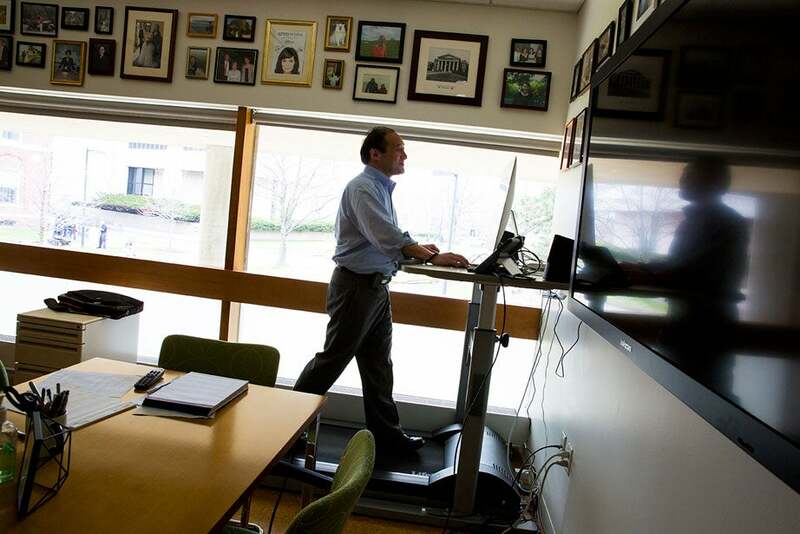 Instead, he cites surveys that suggest that most Americans target 90 as their expectation for a long, healthy life. SMN protein (red) is necessary for the survival of spinal cord neurons (motor neurons) responsible for breathing and all movement. Harvard researchers have found a compound that stabilized this protein in mouse and human motor neurons. This may lead to the development of new treatments for motor neuron diseases including Spinal Muscular Atrophy and Lou Gehrig’s disease.